This Lash-Packed Giftables contains Mega Volume 251, Mega Volume 252 and Mega Volume 253. Ardell 3D Mega Volume Eyelashes #250 (also known as Maximum Lash Volume Lashes) offers Neverflat™ Multi-layered lashes with tapered tips that blend naturally with your lashes for an enhance 3D effect. These fluffy hand crafted falsies has tightly bundle lash to add a touch wanderlust with attitude to your eyes. They are layered with multi-dimensional feathery ends for full volume and maximum lash attention! Ardell 3D Mega Volume Eyelashes #251 (also known as Maximum Lash Volume Lashes) offers Neverflat™ Multi-layered lashes with tapered tips that blend naturally with your lashes for an enhance 3D effect. These fluffy hand crafted falsies has tightly bundle lash to add depth and dimension to your eyes. They are layered with multi-dimensional feathery ends for full volume and maximum lash attention! Ardell 3D Mega Volume Eyelashes #252 (also known as Maximum Lash Volume Lashes) offers Neverflat™ Multi-layered lashes with tapered tips that blend naturally with your lashes for an enhance 3D effect. These fluffy hand crafted falsies has tightly bundle lash to add depth and dimension to your eyes. They are layered with multi-dimensional feathery ends for full volume and maximum lash attention! Ardell 3D Mega Volume Eyelashes #253 (also known as Maximum Lash Volume Lashes) offers Neverflat™ Multi-layered lashes with tapered tips that blend naturally with your lashes for an enhance 3D effect. These fluffy hand crafted falsies has tightly bundle lash to add depth and dimension to your eyes. They are layered with multi-dimensional feathery ends for full volume and maximum lash attention! Ardell 3D Mega Volume Eyelashes #254 (also known as Maximum Lash Volume Lashes) offers Neverflat™ Multi-layered lashes with tapered tips that blend naturally with your lashes for an enhance 3D effect. These fluffy hand crafted falsies has tightly bundle lash to add depth and dimension to your eyes. They are layered with multi-dimensional feathery ends for full volume and maximum lash attention! Ardell 3D Mega Volume Eyelashes #255 (also known as Maximum Lash Volume Lashes) offers Neverflat™ Multi-layered lashes with tapered tips that blend naturally with your lashes for an enhance 3D effect. These fluffy hand crafted falsies has tightly bundle lash to add depth and dimension to your eyes. They are layered with multi-dimensional feathery ends for full volume and maximum lash attention! 4 Pack Multipack - 4 pairs of lashes! 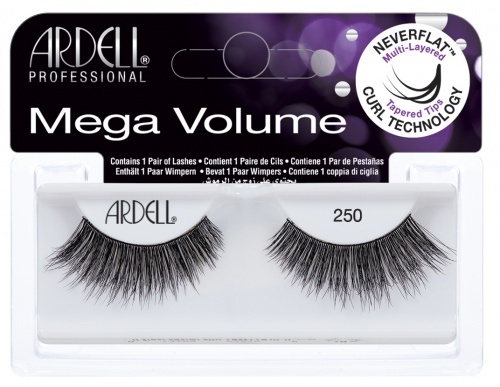 Ardell Professional 3D Mega Volume Eyelashes #251 (also known as Maximum Lash Volume Lashes) offers Neverflat™ Multi-layered lashes with tapered tips that blend naturally with your lashes for an enhance 3D effect. These fluffy hand crafted falsies has tightly bundle lash to add depth and dimension to your eyes. They are layered with multi-dimensional feathery ends for full volume and maximum lash attention! 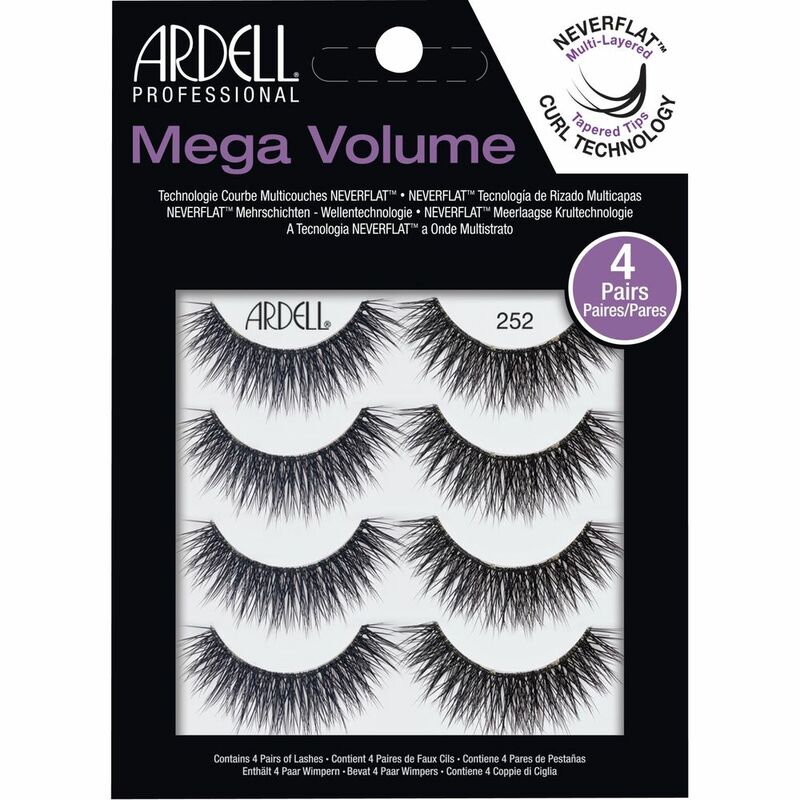 Ardell Professional Mega Volume 4 Pack Lash 252 Multipack (67889) (also known as Maximum Lash Volume Lashes) offers Neverflat™ Multi-layered lashes with tapered tips that blend naturally with your lashes for an enhance 3D effect. These fluffy hand crafted falsies has tightly bundle lash to add depth and dimension to your eyes. They are layered with multi-dimensional feathery ends for full volume and maximum lash attention! 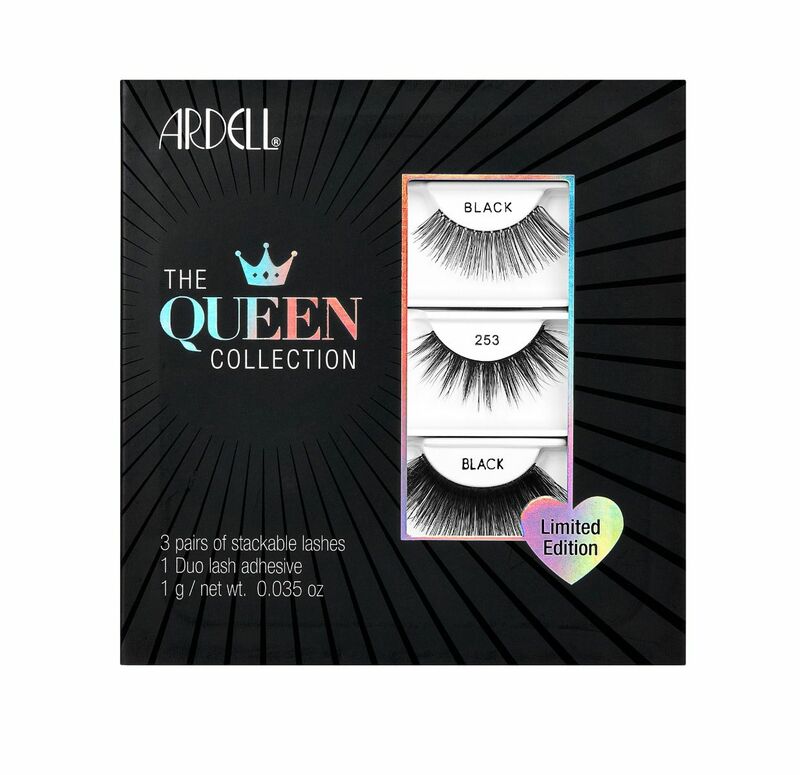 Give someone special the royal treatment with this opulent, limited edition Queen Collection lash gift set! It features 3 pairs of dramatic, celebration-ready strip lashes and a travel-friendly tube of clear DUO adhesive. Share your love for doe-eyed and dramatic lash perfection with your loved ones as Valentine's gift set, stocking stuffers, or keep as a handy travel kit for romancing on the go! 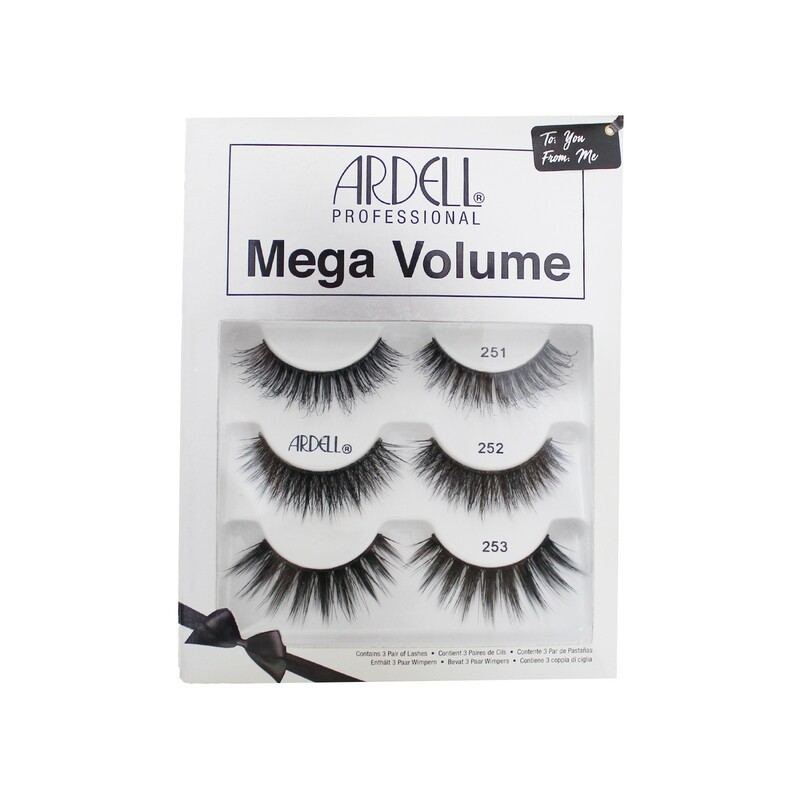 This Lash-Packed Giftables contains Ardell Lacies, Mega Volume 253 and Mega Volume 115.